Even after the bones of “Joe” were cleaned, they weren’t yet ready to be shown to the world. The fossil had to be identified and compared to other dinosaurs, to learn the secrets that “Joe” had to tell. 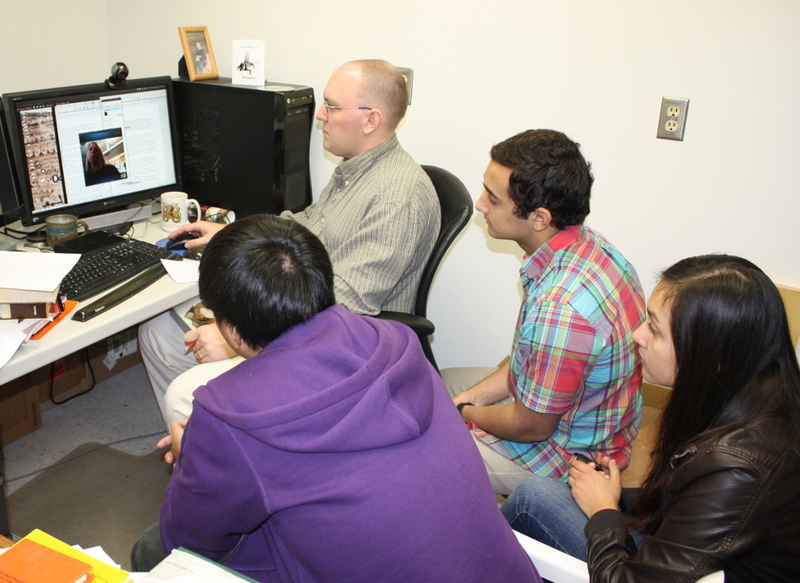 A team of five researchers (including three high school students from The Webb Schools) led the way, with their work culminating in a peer-reviewed scientific publication. On location at the Alf Museum, (from left) Derek Chok, Andy Farke, Brandon Scolieri, and Annisa Herrero talk about the bone structure of “Joe” via a teleconference with Sarah Werning (visible on the computer screen).